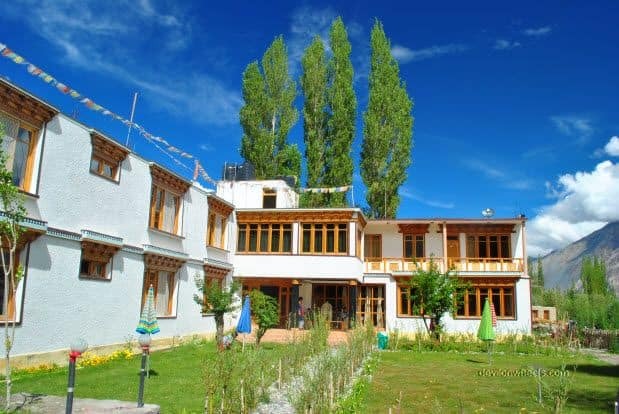 In this third article of the series – Preferred Hotels or Accommodation options in Leh – Ladakh, I am enlisting down some of the preferred places to stay in Nubra Valley – Ladakh which are cheap budget (Rs 600 – 900) types as well as moderate budget (Rs 1200 – 2000) types accommodation and good for stay. So, if you are looking for a decent, clean and comfortable but moderate budget options of stay in Nubra Valley – Ladakh then you can refer the list of below guest houses or hotels compiled after reading various resources/reviews of many people over Internet mainly IndiaMike and BCMT forums (as said earlier, of course, I cannot stay in all of them 😉 ). Most of these places are ideal to stay with family as well because they offer decent comfort and facilities which a family may require but looking out for moderate range budget accommodation options. 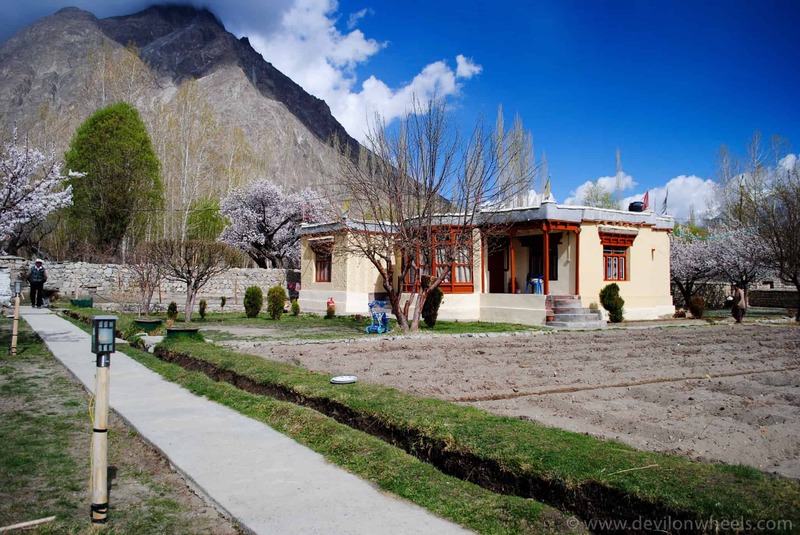 However, if you are looking for an exceptional in-room service, finest linen, luxurious and ultra comfortable rooms in a hotel and that too for this price range and in such remote places as some villages of Nubra Valley then perhaps this list may not be for you or I shall say this place (Nubra Valley – Ladakh) is not for you. Well, you may find one or two such services too in the below guest houses but no certainty. Nubra Valley is one of the hottest tourist spot in Ladakh and Diskit is one of the town which people generally make the base to explore rest of the Nubra Valley. The biggest reason of Diskit being so popular is that it offers better and varied amount of accommodation options when compared to the rest of the places like Hunder, Panamik, Sumur, Turtuk in Nubra Valley being its head quarters. No doubt, Hunder is also starting to become popular with more and more options coming up. The article has been updated to match the current prices of most of these hotels or campsites or homestays for the year 2015. Below, I have segregated the list of good accommodation options or hotels available in Nubra Valley by the villages viz. Diskit, Hunder, Sumur, Turtuk, Panamik etc. These are the villages in Nubra Valley mostly visited by the travelers and tourists. You can easily refer to the section of village where you plan to stay overnight on your trip to Nubra Valley in Ladakh. Very much Recommended being one of the excellent stays in Diskit. Really comfortable, nice and cozy. Clean rooms and bathrooms. Tasty food, good parking space, running hot water. TV with DTH and most importantly nice little garden Bar. For my complete review read here. Recommended as one of the nice stays in Diskit. Clean rooms and bathrooms. Parking space, Running hot water or in buckets. Good place to stay, nice and clean rooms. Nice and cheap food too. Very much Recommended by a friend who stayed here. Nice, clean and comfortable rooms but only 4-5 of them with a little garden having nice views. Very much Recommended. Nice and clean rooms. Good for stay in Hunder. Nice and clean rooms. OK for stay. Good option of stay. Nice and clean rooms. Tasty food and a little garden. Recommended, if you stay in Sumur. Very clean rooms and tasty food. Great views and nice little garden. Nice and decent place to stay with clean rooms. There are lots of options in Diskit and hence, if really not required then you don’t prebook if you go in Aug/Sep in this region. You will get better bargain in that case. There are less/few options of stay at Turtuk Village but there are lots of camping options available at Turtuk. So, you can bring your own tent and pitch it anywhere you like. It also gives you an upper hand to bargain with available options when you are not in mood to pitch it. I hope you find the above list of hotels or accommodation options in Nubra Valley – Ladakh useful for your upcoming Leh – Ladakh trip. If you happen to know any updated contact numbers or missing contact numbers of these hotels or any other nice, cheap or moderate budget but good option of stay in Nubra Valley – Ladakh, kindly leave a comment as it will be helpful to others fellow travelers as well. If you have ever stayed at any of these hotels, please share your experience with us too. Dheeraj vai, can I stay in Camps in Nubra(Hunder) in middle of September?? or should I try for some cemented property? Also want to know Shyok & chusul route will be open in September? Hi Dheeraj Bhai, are there any enfield workshops/ tyre puncture repair shops available in Nubra Valley? I am planing to go leh on sept 2017. im traveling solo should i need to book room in leh? and i can get share taxi to go pangong tso , nubra valley and khardongla pass? You are alone and private taxis are very costly in Leh but you will be able to find the shared taxi without much fuss at all. There are lots of flyers which people put at cafes, dine-ins, restaurants, travel agent desks/shops/whiteboards wanting to share the taxis for different trips within Ladakh. Even travel agent organize such shared taxis trip as well but charge a little higher about Rs 200-300 more than it would ideally cost. So, in the worst case, you can always go back to them and book a seat for yourself. Gelling up with people in Ladakh is more or less easy because many people travel solo and look forward to meeting new people and share cultural thoughts and values over the trip. No need to book anything, plenty of options present where can get to stay. I will suggest to refer: Traveling to Ladakh with Kids or Babies. For asthama, it depends upon the extent of the problem, I will strongly advice to talk to your doctor and take a call without learning over Internet for it. Nice and decent place to stay with clean rooms, bathroom and hot water. Our transportation was arranged by Rigzin and he had clearly told us to blindly go to this place and he will take responsibility that the home stay, food, everything will be good. When he said that, we were sceptical should we stay here? But when we reached Nubra, there were hell a lot of billboards at one junction with the list of home stays. We decided to go with Habib Guest House no matter what, when we entered the Habib Guest House locality, we just fell in love with this place. The rooms were average, we had hot water wall the time. The Dinner and Breakfast was included in the room rent, food was awesome. The Butter Tea, I got to taste here for the first time in Leh. Lovely home cooked food. Only drawback with this place was the flies, which we found in all other places later on. Connectivity: Only BSNL worked here without internet, though GPRS would be displayed :). Thank you so very much for sharing this great review of the Habib Guest House, I am sure this will really help others. We are 5 people planning Leh-Ladakh trip between June17-June30 2017. We are coming on our own, not taking any packages. We would like to know the availability of hotels in Leh, Nubra, Pangong and Tso Moriri in that period. Shall we easily get them or it will be too crowdy at that time? What is better approach? – Booking hotels in advance or we go there and choose. Please guide us. Thanks. Thank you Vishnu. It will surely be crowded at that time of the year. If you are a bit choosy on sleeping over at places, I will recommend to book in advance in Nubra and Pangong Tso while Leh you can search on the spot as there are many options. Otherwise, if you are OK to sleep in home stays, then , well even searching 4-5 places upon reaching should be fine. I went to Nubra valley in 2016 September. I would like share my experience with one of accommodation Nubra Valley (Hunder). Pleasant and friendly home stay with lovely host. Accommodation includes food and stay. He charge us 500 person. Thank you Shaik for sharing the details of Padma home stay. Any possibility of sharing the pictures with us? Yes sure, But where can I share those pics. This is text box . Thank you.. I have added the details there . Waiting for your review . Just approved and replied. Thank you so very much !! We are planning a small trip to Leh – Ladakh from 8th – 13th Oct. We will be reaching Leh via flight from Delhi on 8th Oct early morning and have our return flight on 13th morning. Can you please suggest a doable itinerary for the planned dates?? 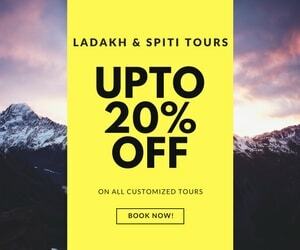 We were hoping to cover few places in Leh including other famous points like Pangong Tso, Nubra valley, Khardungla pass etc ….we are a group of 3 guys and we will be renting bikes in Leh. Do you suggest one day stay in Hunder & one another day in Turtuk? or stay in Leh on Day 03 & cut down Nubra to one day? Which is the best option to stay near the lake in Pangong? I will ideally suggest that you either add an extra day OR drop a day from Nubra and rest/acclimatize in Leh before heading to Nubra Valley. There are many options available now in Pangong Tso, you can walkin and choose. Any idea how is Apple Nubra Camp ? Which place is better to stay….Diskit or Hundar.. ? We are there in Nubra valley for one night. Diskit is a better place in terms of facilities, hotel stendel is a very good place. 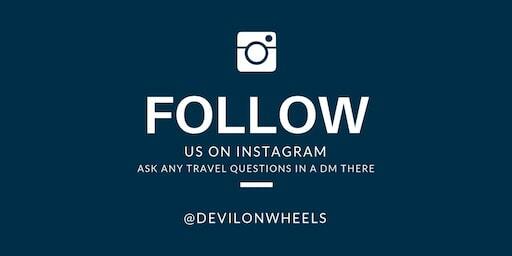 Please give your valuable suggestions, to make our trip most memorable. Day1:- leh airport to leh hotel. Day 9:- tso kar ro leh night stay leh. hI , I plan to travel solo and might go for a shared taxi. In such a case, where should i stay-Nubra or Deskit. Will the taxi guy entertain request of different tourists wanting to stay at different place. Okay, so then I cant prebook any hotel/guest house at any of these places and will have to check with different guest houses only on the day of travel . 1) How is the road condition now (in July) for Manali-Leh highway? Are the roads a lot slippery? 2) Read about some undertaking needed. Can we obtain this on 11th July (day 1) itself? We have done all bookings and hence it is crucial to leave on Day 2. 3) I know out trip is relaxed but can you suggest some changes if applicable. Day 10 and 11 that we spend in Leh, how can we utilize them effectively? 4) How are ‘Camp Whispering waves’ (in Pangong) and ‘Nubra Ethnic Camps’. Tripadvisor shows them as excellent, your feedback will be helpful. 5) I have been reading around and know of things to carry, etc. but still it will be great to have your comments on schedule/any other thing you’d want to share. 1. It is OK to travel, there are some bad patches but more or less fine. 4. Never stayed with them so cannot comment. We bought a tent along with sleeping bags, where are the places where we could camp? Vaisakh, You can pitch your own tents anywhere but I will suggest you pitch them at a place where there are some dhabha tents put up by locals or where other camping guy pitch theirs or somewhere near some house in village or in their garden/lawn. All you will need is to gently ask them (villagers/dhabha guys/camping guys) for permissions. Most likely they will allow, other wise negotiate for small little tip or move on to some other such place nearby. This will give you sense of security too. But, keep in mind that camping at the lakes both Pangong Tso and Tso Moriri is not allowed as they are under Ramsar site. Hence, you need to pitch these camps away from the lakes where either other camps are there or at near by village. Can you please take a look at the below mentioned itinerary and provide your expert comments. 1. Will getting a permit at Manali screw up the trip? 2. Should we book accommodation at Nubra and pangong in advance? 3. Any modifications to the plan? Regarding the plan, it looks fine BUT please consider stay at Jispa instead of Sarchu while going from Manali to Leh because you will not be acclimatized to sleep at Sarchu and may hit with AMS. You can check on the spot in case you are OK with finding few places for stay and in worst case OK with basic home stays. we are 4 guys travelling to Leh on mid of Jully, we are gong to hire taxi from manali to Leh and from Leh to Nubra valley and pangong Lake on Bike, is siachen preferable to go on bike from nubra valley? can you please suggest contact for bikes on rent? our journey ends at srinagar from Leh to srinagar which is preferable transportation? how to get permission of Indian Army to visit siachin? can you please guide. Thanks for the useful blog write up and the list of hotels. We and my buddy (2 pax) will be travelling from Sri Nagar till Leh -Ladakh from 11th June till 17th June. It is his birthday treat and we are looking at spending one night in Nubra Valley on a camp stay and giving him an extraordinary experience. I have read many review and still not sure where will the best camp site to stay. I have shortlisted – Chunka Camp, Cold Desset Camp or Chamba Deluxe Camp. Can you please advice which would offer the best camping experience please. I really appreciate your help in advising us please. Hi Suresh, For the leh – ladakh taxi union rate list 2015 – 16 including the contacts of some reliable taxi drivers within Leh – Ladakh, check the link here. You can get about 10-12% of discount by directly getting in touch with drivers and of course, talking in person rather on phone always help in bargaining more. Check with these drivers too for the rates as Nubra rates seems a bit high and does not have any discount. No idea about these camps. We are planning to do Leh -> Nubra Valley -> Pangong Lake -> Leh with 1 inova car and 3 bullets. Considering the distance and even carrying 10L petrol tanks per bike, Is this possible to do ? I am little bit worried on this part. Can you please throw some light on this.? Accordingly I have to book my accommodation. Yes, you can do it Nitesh. Wari La route opens around late June but keep in mind that it is very desolated and no one will be there to help in case of any exigency. So, factor this risk out and it should be OK to do. I am planning a trip to Leh along with 8-9 more friends in the beginning of july this year. I am a bit confused about the accommodation. Most of the itineraries I have seen mention 2 day trips from Leh to Nubra Valley or Pangong Tso with a night stay at these places. Now for this do I’ll have to book for single night accommodations in these places? And what about my hotel in Leh? Say I stay these for 2 nights then skip a night and then for 1 night and then again skip a night? Will I have to book the Leh accommodation for all 6-7 nights straight and pay for the nights I’m not staying there? Or can I book the Leh hotels with skipped nights in between? Shantanu, no, you do not need to book hotel for all the nights rather just the ones when you will stay in Leh. i read thru ur blog detailing accomodations available in leh.. thank u so much for the information..we 6 ppl are planin for leh trip this jun.. jun 14 to 28.. do we need to prebook hotels/homestays durin this time.. we dnt have any preferences for stay.. will dere be so much rush durin tis time tat we will end up with out a place to stay.. like at kargil, nubra valley, pangong tso, tso morri and other locations in usual leh itenary..?? can we go for spot bookings..?? pl advice..
Harshal, june is peak season time and many places now a days gets booked well in advance. However, if you do not have anything particular hotel in mind and can look for some options of stay here and there (4-5 places) you should be able to get something. Thanks for ur prompt reply on the previous queries. I had read your pointers on Hotels, we are 7 folks (girls+boys) and would be at Leh, Nubra, Pangong Tos & Tso Moriri on June 20th onward. What do you suggest, do we need to book accommodation in adv. I guess for Pangong & Tso Moriri tents are available at the spot. Looking for your expert guidance. Indranil, if you guys are fine with searching here and there may be 3,4 places and do not want any specific hotel for stay, then it is fine to go with on the spot bookings in season time. Firstly thank you so much for this kickass blog man. Hands down to you! I’m a very miser when in cokes hotel stays. can you suggest me a 9 day road trip to manali-leh road which should include zanskar, tso pangong(overnight), tso moriri should be a vital spots! also suggest where should I stay overnight when I take stops in between. Bhuvan, 9 days is too less to make a trip to Ladakh. It will take 3 days to reach Leh from Delhi via Manali side and 4 days to come back to Delhi from Leh via Srinagar side. This makes it 7 days. 1 Day is required in Leh for acclimatization. You have about 10 days. 1 Day can be used as Day trip to Pangong Tso and other day can be used as day trip to Nubra Valley or just Khardung La pass. Day 1: Arrival at Leh at 8am by flight from Delhi. Rest till lunch. After lunch local sightseeing at Shanti Stupa, Hall of Fame, Leh market, Leh Palace. Overnight at Hotel. Day 2 & 3: Sham Valley Tour- Alchi Monastery, Likir Monastery, Gurudwara Parthib Saheb, Moon Landscape, Basgo Palace, Indus and Zanskar Sangam, Magnetic Hill, Phyang etc. Overnight Stay at Uleytopko or Alchi camp or resort. Lamayuru Monastery etc. Suggest a better plan. Day 3 & 4: Nubra Valley Tour: Nubra valley via khardongla pass, Hunder and Diskit Village, Sand dunes camel ride, Diskit Monastery, Samstanling Monastery. Panamik, Sumoor. Overnight at camp. Suggest a plan. Day 5: Tso moriri Trip from Leh: Enroute Tso Kar. Over night at Tsomoriri resort. Day 6: Tsomoriri to Pangong Tso: through Mahe-Chushul-Kakste-Lukung. Over night at camp at pangong. Day 7: Pangong to Leh. enroute Hemis, thiksey gompa, Shey Palace. Planning to have a package from here (kolkata). We are traveling from Kolkata-delhi-Leh by flight. Since we have ladies and a kid, I want a comfortable jouney. Should we book a package from here or book hotel/camp from here and travel to those places after reaching Leh and book car/taxi? Well your itinerary is fine up to Day 4. But, beyond that you should do it like a day trip to Pangong Tso and then two day trip to Tso Moriri. OR you can just do Sham Valley tour on Day 2, then do 2 day trip to Pangong Tso with spared day and 2 day trip to Tso Moriri. Since, it is may, you can directly go there and book stay as well as taxi. However, it might be the case that you have to search a bit. 1. Beyond alchi in Leh-Kargil Highway, what to see beyond alchi say in Uleytopko and Lamayuru other than Lamayuru Monastery? and if we go upto Lamayuru, can we return to Leh in a single day? 2. If we plan for a two day trip to Pangong Tso, what would be the itinerary? What are the places to see? Please suggest. 3. Most travel agents say Tso moriri trip is expensive. Is it so? 4. For a two day Nubra Valley tour, what else can we see? In the itinerary, on end of May, will we be able to see ice? ice covered mountains close by? or a place covered with ice? I like places covered with ice. 1. It all is for the natural beauty on that highway. There comes moonland, Rizong Monastery too on this route. You can do a single day trip, just start early in the day. Any recommendation will be of great help! Also we are a bit hesitant about freezing weather, any recommendation? It indeed is quite a different experience of Ladakh during this time of the year. was reading ur comments . 1) Leh city wasn’t much affected, only the road links to Srinagar were snapped because of the floods but now, the road is open to traffic. 2) Nubra at that time can be possible but things can get a little problematic in case it snows in Khardung La Top. Have a safe trip and please feel free to post your questions here. Anil, Sameer has already suggested you the answers. We are 9 of us planning a trip to Leh from 27th Sep to 5th Oct 2014 on moderate budget. Need your expert advice on this plan. 5th – Srinagar –Shalimar/Nishath – Back to Hyderabad. Should we book hotels in advance?If yes, pl advice some. Should we engage a tour operator? If yes, pl advice some. 2. You 7 take the risk of health of your friends and take them with you on 29th with you for further travel. Based on your choice, I will suggest you the plan but I will never opt for Option 2 here, personally as that risk could be life threatening too due to AMS. I agree with Dheeraj. Please keep in mind that Leh is at about 11,500 ft and at that altitude, the air is very thin. Hence, please get a rest of atleast a day before you venture into sight-seeing. Also, my advice would be to do local sight-seeing on day 2. You can schedule Pangong on the 3rd day. Feel free to catch us for any questions. Thanks for all the help you are providing to Leh tourists. 13th Sept: Ride back to Leh and local sightseeing. 14th Sept: Half Marathon Race at Leh from 6.00 AM to 10.00 AM, after that ride to Nubra Valley via Khardung La in the afternoon. Overnight stay. 16th Sept: Fly back home in the morning. Please also suggest whether it is a good time of the year for night stay at nubra and Pangong Tso??? 12th Sept: acclimatize and do some light local sightseeing as Shanti Stupa and hall of Fame. 14th Sept: Half Marathon Race at Leh from 6.00 AM to 10.00 AM. In case you are feeling well after couple of hours of rest due to fatigue in Half Marathon, do Sham Valley bike trip covering Alchi and Likir. 15th Sept: Day trip to Pangong Tso in case you are feeling well. thanks for great article and very good info. Thanks Ashish, good to know that the info. present on DoW Helped you. During my recent visit to Nubra, i stayed at the Organic Tents (nubraorganicretreat.com/index.php). The place was really very good and the hotel management was very helpful. To top this off, there are tons (and i literally mean tons) of apricots up for grabs for us. A badminton court and a machan are all that you require for a beautiful gateway. Please feel free to catch me in case you need any more info. hi sameer, what is the price range for stay of a couple at organic retreat? However, you can try and negotiate the rates with them. One thing for sure, you’ll love the stay. All the best for the Leh trip and do share your experiences. I thank a lot for my entire trip beeing successful (shall write up in a suitable page with more details). Here, regarding the Accommodation options in Diskit, Nubra Valley, Ladakh, we stayed in Siachen guest house, next to sten del, and the owner – norphel is running from his own house, is very clean, good and the hospitaity was simply good. Actually, we were 8 of us who were stuck in khadung village as one of our bike (apr 2014 model with 7000km on the Odo) did not star at all (hired from soma adventures). Then Norphel was travelling from leh to diskit found us to be in problem and offered a drop – which we accepted since we neeeded it badly. On the way, he explained us about him and offered us 4 rooms at 2000 (500 / 2 bed room) which otherwise stated from 800 / room. He got to know that we starved from noon (khardung la) and were tired toeing the bike, he called up his guesthouse and got the food prepared at about 11PM so that our dinner would be ready by the time we reach there. |The rooms, toilets, kitchen were clean and hospitality was great. We (I on behalf of 8 of us) highly recommend this place to any tourist visiting Diskit. Can you please throw some light on it?